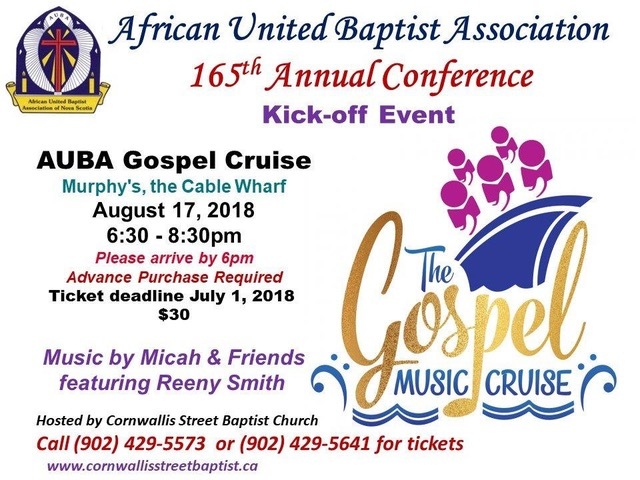 Please note that due to the restoration at New Horizons Baptist Church (formerly Cornwallis St) the Saturday AUBA business meeting and evening service will be held at Mulgrave Park United Baptist Church (https://mpbc-church.com/). at 5656 Sebastian St. in the north end of Halifax. 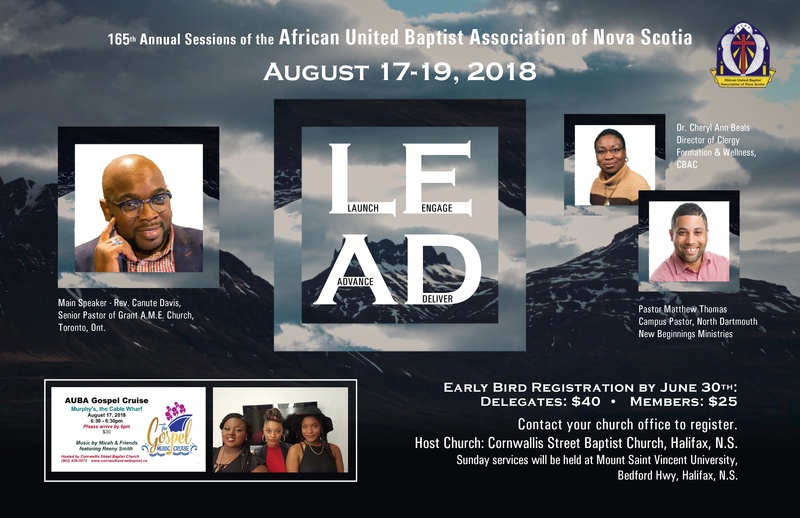 This church offers the AUBA members a modern and accessible location to host the business meeting and a large hall for meals.